To facilitate this new office, Vectorworks has acquired Resolve Software Solutions and the assets of Paxar Technologies Corp, both long-time distributors of Vectorworks software. 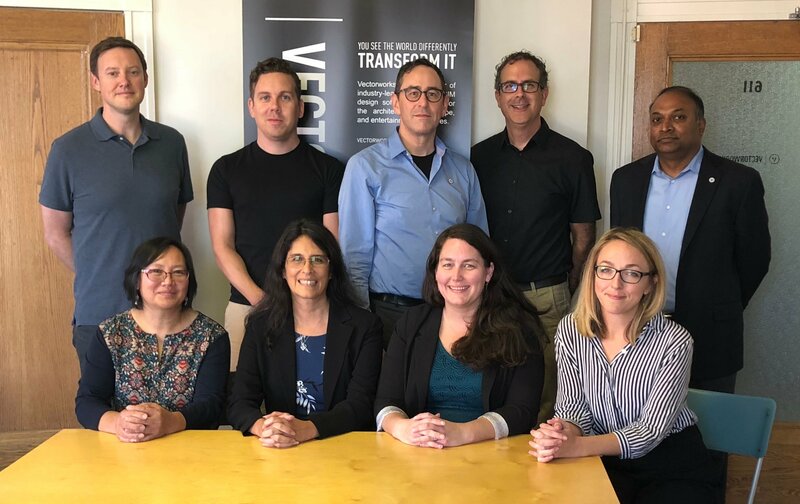 The Vectorworks Canada office is located in Vancouver and led by Geoff McBeath, former director of Resolve Software Solutions, who has more than 20 years of experience in Vectorworks support, training, and sales. The Vectorworks Canada team, pictured with members of the Vectorworks, Inc. executive team. The Vectorworks Canada office is located at 207 West Hastings Street, Suite 611, Vancouver, BC, V6B 1H7. We also plan to open a satellite office in Toronto. Interested in working for us? If you have sales experience and reside in the Toronto area, please take a look at our open positions. For more information about Vectorworks Canada, please read our FAQ.